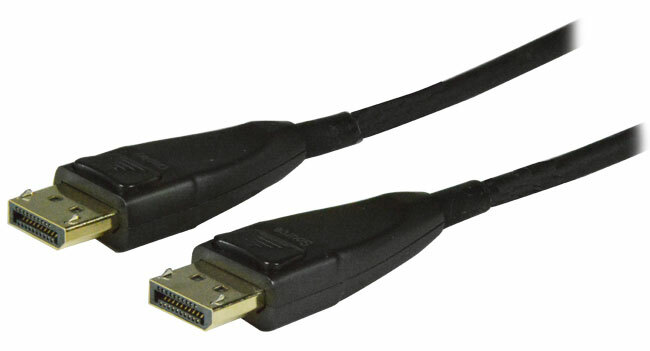 The XTENDEX® 4K DisplayPort Active Optical Cable locates an Ultra-HD 4Kx2K 60Hz 4:4:4 DisplayPort display up to 100 meters (328 feet) from a video source. Using optical fiber, the DP4K21GB-FO-xxM-MM provides high reliability DisplayPort signal transmission with zero signal loss in high noise environments. Resolutions: supports resolutions up to Ultra-HD 4Kx2K 4:4:4 (4096x2160@60Hz). 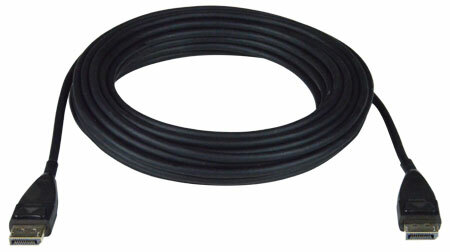 Operating and storage humidity: 5% to 85% non-condensing RH.